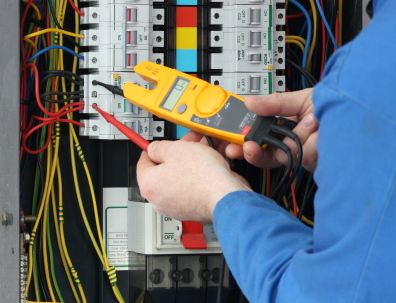 Do you need a commercial electrical safety certificate? The best commercial electrical safety certificates provider for commercial landlords, tenants, commercial property managers, commercial building, offices and commercial Estate Company. Simply call us on 02071275128, if you need a Commercial Electrical Safety Certificate in London, Essex, Surrey, Kent and surrounding. Whether your requirement is for commercial electrical testing or certificate on office premises, retail outlets, industrial sites, hotels, residential homes, or small domestic properties. Cenultra Electrical Testing can provide you with a cost effective and professional service.Do you need commercial-property electrical testing require certificates for your insurance or to comply with The Electricity at Work Act? By law you should carryout electrical inspection every three to five years dependent on previous inspections recommend. This inspection examines the state of the electrical wiring throughout the commercial property and thoroughly checks the safety of the electrical installations. Our commercial electricians use the most recent testing instrument to trace a fault which enables them to identify and fix faults rapidly. As soon as our commercial electrician has carried out the inspections they will provide you with a report detailing any faults and suggestions for remedial works. Commercial Electrical Safety Certificate / Electrical Installation Condition Report (EICR) was from £190, now from £150 ( Offer: inspection and provide a complete certificate was from £220, now from £170). Please note prices are up to 5 circuits. More than 5 circuits was from £14.50 now £12.50 extra for each additional circuit. Please call us on 02071275128, we may offer more discount or a fixed price. You could require a commercial electrical installation condition report or commercial electrical safety certificate for a variety of reasons, such as when offering or purchasing a commercial property. Or, you may require a report to find out the condition of an installation after a flood or fire, or at the end of the duration recommended in a previous electrical certificate.